Moey has added its first vehicle to the fleet! A G.A.C. 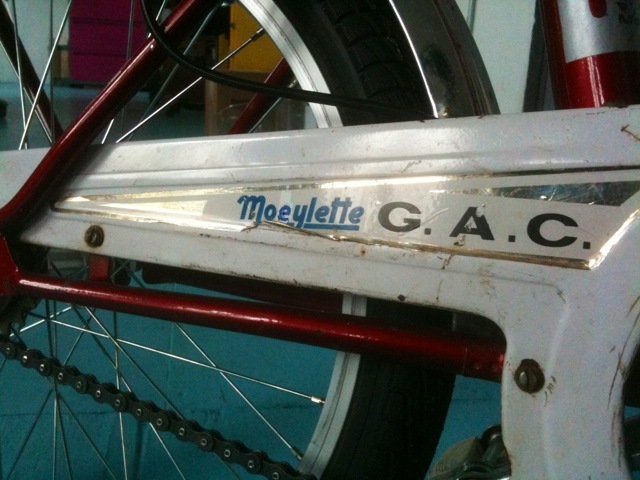 foldable Mobylette bicycle now being donned the “Moeylette”. It’s amazing what a little nail polish can do. If you’re in the Gowanus / Park Slope area of Brooklyn, look out for us on our supply runs!